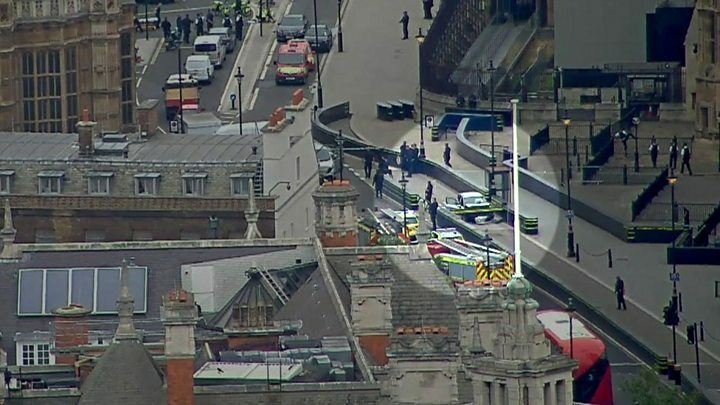 A man has been arrested on suspicion of terrorism offences after a vehicle disintegrated outside the Houses of Parliament. The vehicle veered into cyclists and pedestrians shortly after 07:30 BST, injuring three people. The suspect, in his late 20 s, is not believed to be known to MI5 or counter-terrorism police, and is not co-operating with officers. He contributed there was “no intelligence at this time of further danger” to London or the UK as a whole.